Tired Of Cleaning Up Dog Poop? At Dooty Free Lawns we make it easy to clean up after your dog! We offer a variety of services that are designed to keep your home and lawn cleaner so that you can relax! We work all throughout the Fort Worth area, and help many dog owners on a regular basis. 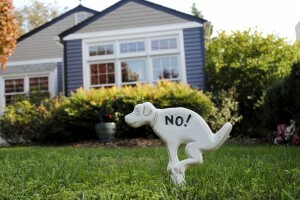 In addition to cleaning up dog waste outside of homes, we also offer pooper scooper services and dog clean up. We have professional tools, and always do a thorough job so you can feel comfortable walking around your lawn or backyard. Don’t let dog waste cleanup take up all your time when you could be doing other things. Let our cleaners do the work for you, and you’ll be left with a beautiful and pristine space! Our local company has great reviews from our clients, and that’s because we love animals, we love helping you clean and we have affordable prices.